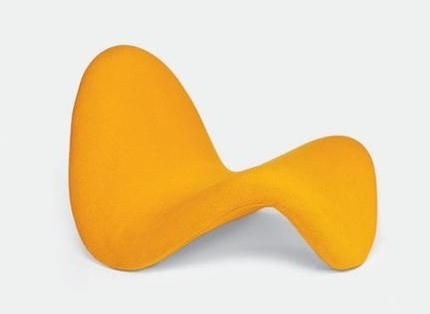 At the Centre Pompidou in Paris, a retrospective exhibition of Pierre Paulin illuminates a forty year legacy of design. The exhibition runs from May 11, 2016 until August 22, 2016. 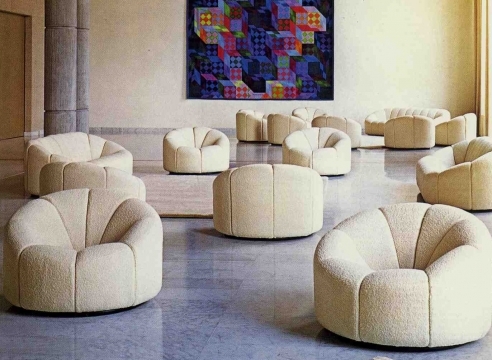 Designer and interior designer Pierre Paulin sculpted space, laid it out and “landscaped” it. His environments, furniture and industrial objects might be simple or spectacular, but were always conceived to serve the body, providing both comfort and cosiness. They also reflected his fascination with technical innovations, like the development of stretch textiles and injection moulding plastic.